Bonnie Halvorsen burst with pride at the garden in front of her. A few Vincent High School students gathered around her with hoes and shovels in their hands. “Oh, it looks like we have a little harvest going,” said Halvorsen, UWM director for the Learn-Earn-Grow MKE program. She beamed when she looked into a crate and saw a plentiful collection of ripe tomatoes. The Learn-Earn-Grow MKE program aims to give Milwaukee Public Schools students hands-on learning about growing their own produce on microfarms, how to be a strong employee and shows students the different pathways to higher education. Microfarms are small farms in urban environments. 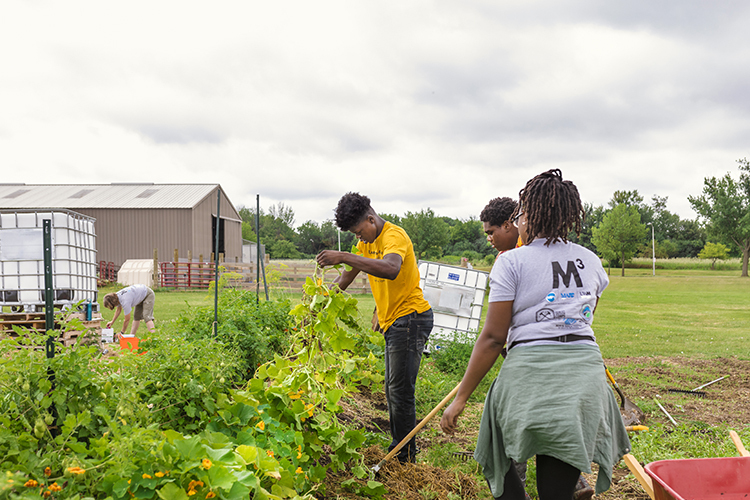 There were two crews for the 15-week program that worked on three microfarms in the city: at Vincent High School, the Mary Ryan Boys & Girls Club in Sherman Park and at UWM Sandburg Hall. 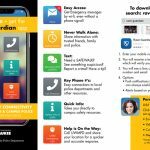 The program is endorsed by the M³ initiative, a joint effort by UWM, MPS and the Milwaukee Area Technical College to improve education in Milwaukee. Some of the entrepreneurial skills that the students learned came from the partnership with another program, Roots for the Home Team MKE. 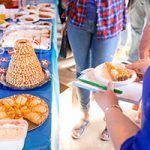 Each program worked hand in hand: Learn-Earn-Grow grew the produce and Roots for the Home Team purchased the produce to create salads, which were sold at Milwaukee Brewers games throughout the summer. 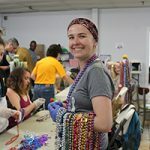 “They were working with a select group of students that demonstrated strong leadership skills and the ability to work in varied environments,” said Shelby Sanderson, one of the Vincent High School crew leaders. 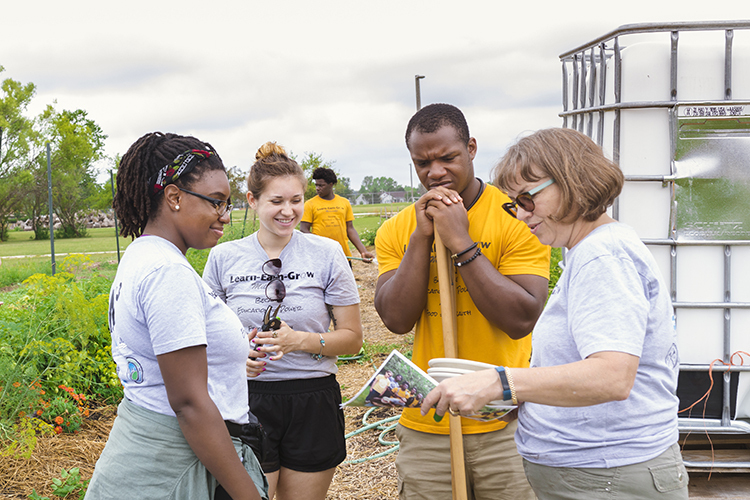 Four crew leaders, two UWM students and two MATC students, supervised and taught the two crews, after an intensive training in Youth Development and Equity with August M. Ball, founder of Cream City Conservation Corps. They were also certified in first aid and CPR. Sanderson, a recent environmental sciences and conservation graduate from UWM, led the Vincent crew with Keosha Nelson, a culinary arts major at MATC. For Sanderson and Nelson’s crew, the week began at Vincent High School, working at the microfarm there. 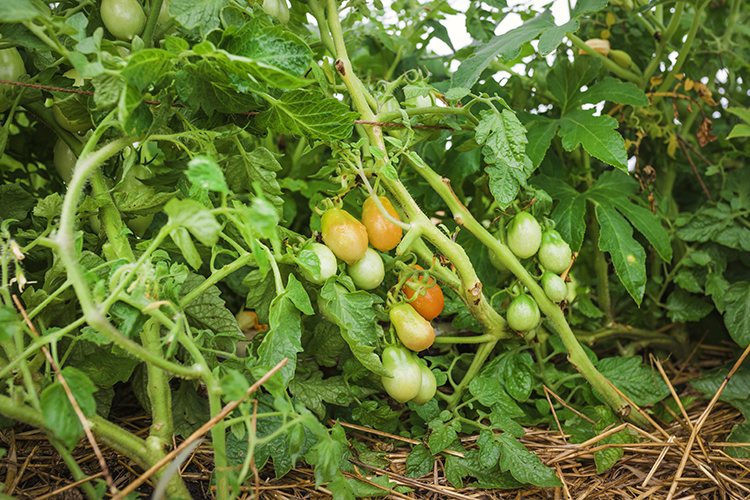 The Vincent farm has two long, sloped rows of lush plants built up with mulch and fresh organic soil. There, the students grew peppers, two types of potatoes, three types of tomatoes and squash. 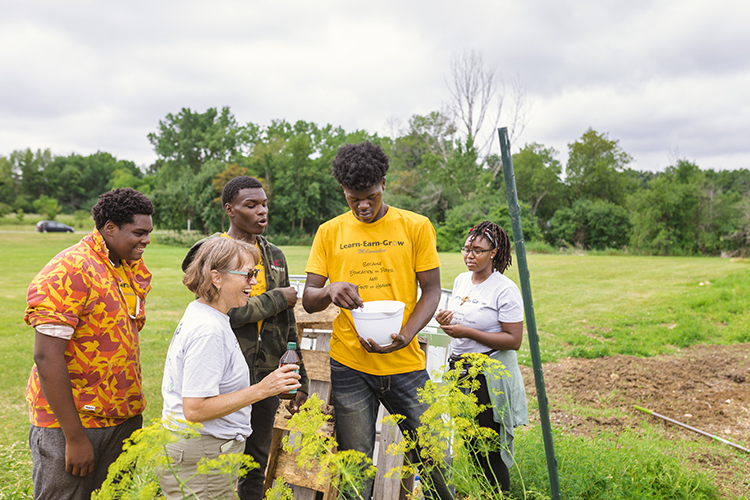 Vincent High School students Marquell Jenkins, Joe Bray, Shamar Simpson and Rayshawn Keeler gathered around the squash plants on their hands and knees to hunt for squash beetles. The beetles threatened the squash crop, and hand-picking them was the best pesticide-free method to control them. The Vincent farm was also home to farm animals cared for by students, including cows, a horse, sheep, goats, chickens and ducks. They lived in a pole barn built a short distance from the crops. 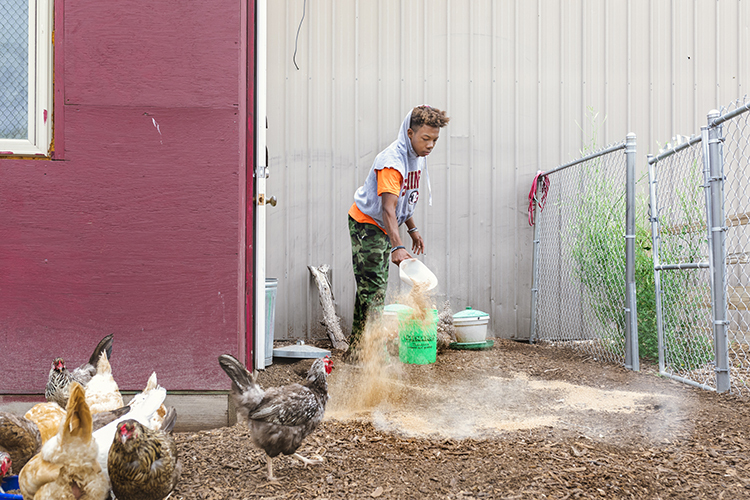 Outside of the barn, there was another smaller enclosure for 30 egg-laying hens, which were fed every day. 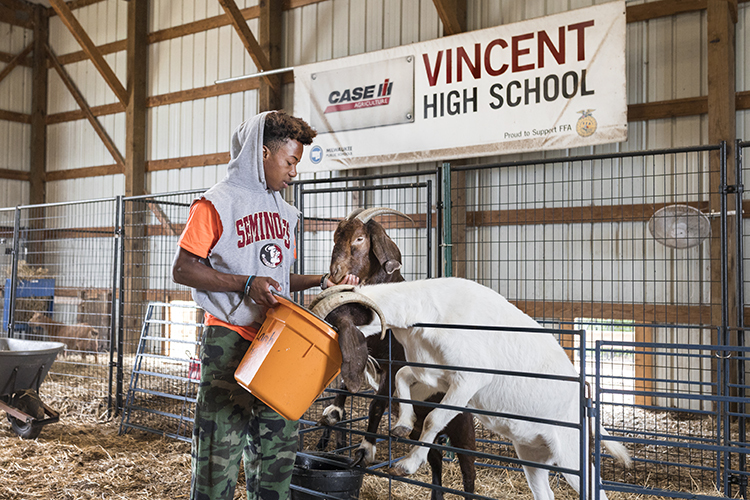 “I have always liked animals,” Vincent High School student Cliffron Cunningham said as he gathered grain to feed the goats. Cunningham learned how to put the animals on a feeding schedule and which grains to feed to which animal. The animals can get sick from eating the wrong type of grain. 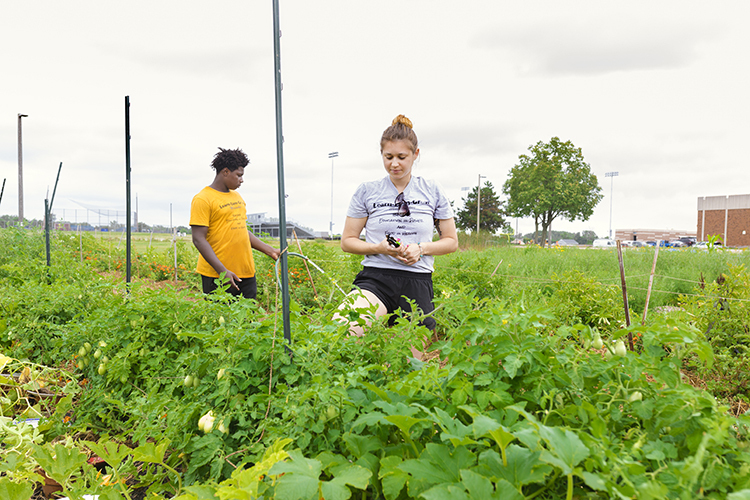 On Wednesdays, both crews met at UWM to work on the microfarm there. 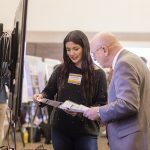 Then the students would attend sessions set up by Kate Nelson, the chief sustainability officer at UWM, about such topics as financial aid and personal finance. 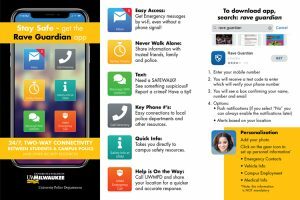 The students explored the Inclusive Excellence Center, UWM laboratories and other places on campus. 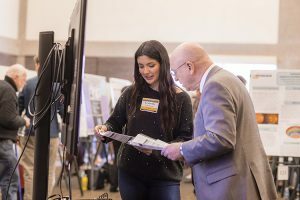 On Thursdays, the students would take field trips to meet entrepreneurs. One was Angela Moragne, better known as That Salsa Lady. She runs a popular business selling organic salsas made from local produce, including beefsteak tomatoes grown in her backyard. The students get a taste of being entrepreneurs themselves through the produce they grew. 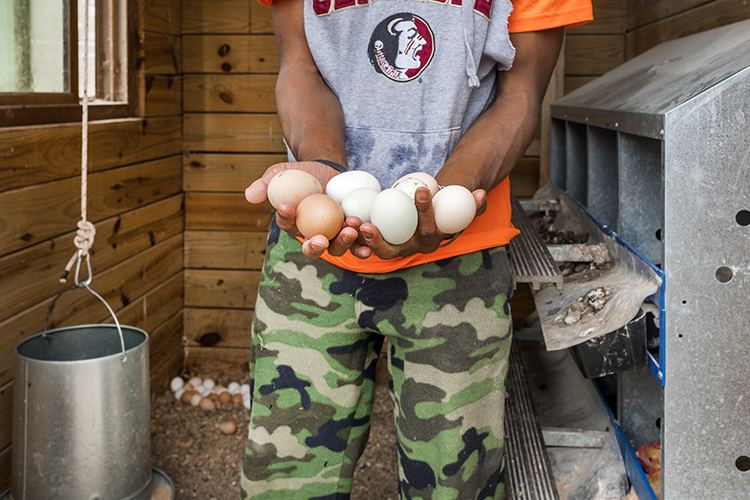 The eggs from the chickens are sold at $3 a dozen to Vincent High School staff. The produce is sold to Restaurant Operations at UWM, the culinary program at MATC and Roots for the Home Team MKE. 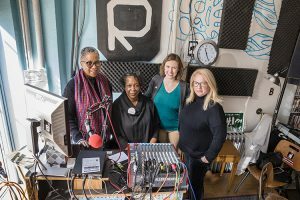 Roots for the Home Team MKE is the first spinoff of the Minneapolis-based nonprofit, and Halvorsen also serves as its director. 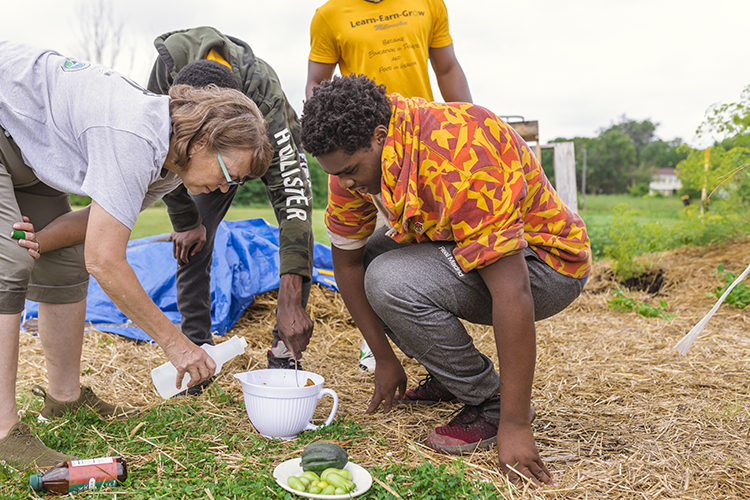 Students participating in the Learn-Earn-Grow and other urban agriculture created the salad recipes with four local chefs who volunteered their time, talent and kitchens. Halvorsen strives to teach the students basic food service skills, front of house skills (customer service) and back of house skills (food safety and preparation logistics) through this program. 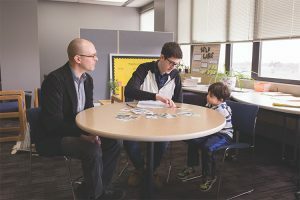 “One of our students said after his first day at Miller Park, ‘I learned how to be an entrepreneur today,’” Halvorsen said. Roots for the Home Team MKE will be selling its salads at one more Milwaukee Brewers game this year, the final game of the regular season on Sept. 30 vs. the Detroit Tigers. 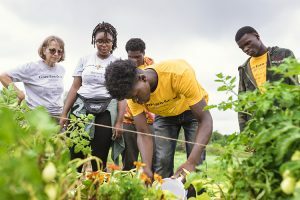 The salads created by students and chefs involved in Roots for the Home Team MKE were sold during several Milwaukee Brewers games this year at Miller Park. There’s one more chance to buy the salads — at the final game of the regular season on Sept. 30 vs. the Detroit Tigers.